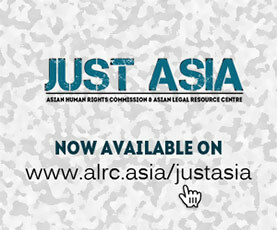 The Asian Legal Resource Centre (ALRC) once again draws the attention of the Human Rights Council and the Special Procedures to the massive arbitrary detention occurring in Bangladesh. The country’s law-enforcement agencies, constituting the Police, the Rapid Action Battalion (RAB) and the Directorate General Forces Intelligence (DGFI), have been continuously arresting and detaining people arbitrarily. Bangladesh’s overcrowded prisons are presently housing over 10,000 opposition activists. Since protests began in mid-February 2018 for reforming the public service commission’s employment quota system, there has been an escalation of arbitrary arrest and detention. The situation further deteriorated with recent student protests at the deaths of several students in a road accident on July 29, 2018. Scores of young students of different colleges and universities were arbitrarily detained through ‘block raids’ conducted by law-enforcement agencies. The actual number of the detainees could not be ascertained as law-enforcement agencies insisted on a media blackout during the raids and afterwards. The media has only been allowed to publish information provided by the law-enforcement agencies. One prominent arbitrary detention that occurred during the student protests is that of Shahidul Alam, globally reputed photographer and activist, under a trumped up cybercrime case. Being internationally known for his research and teaching, Shahidul Alam received much support from global civil society actors. However, tens of thousands of innocent people languish in custody after being arbitrarily detained, without recourse to any judicial remedy or civil society support. In fact, the large scale arrest of ordinary people who have little financial or political clout, is used by the Bangladesh police to cover up its inefficiency in crime investigation, or its allegiance to the offenders. Police allegiance to politicians also makes opposition activists prime targets for arrest and detention. Bangladesh police act as the musclemen of ruling political groups, coming down hard on dissenting voices and whistle-blowers. Bangladesh is expected to have parliamentary elections by the end of 2018. The incumbent government, which seriously lacks legitimacy because of its renewal of power through the sham election of 2014, has intensified the practice of arbitrary arrests and detentions along with other gross violations of human rights such as enforced disappearances, extrajudicial executions, and torture, leaving little room for opposition or debate. There are secret detention centres across the country, where law enforcement agencies hold people incommunicado. Victims of arbitrary arrest and detention are nearly always tortured, and these victims are then further subject to fabricated charges. Bangladesh’s justice institutions are complicit in this practice of arbitrary arrest, detention and other forms of ill-treatment. The country’s judiciary, from the Magistracy to the Supreme Court, denies remedies to victims of arbitrary arrest and detention. Instead, the subordinate judiciary orders detainees to be sent to “police remand” for further “interrogation”, responding to the wish of the police, even though it is well known that “remand” is synonymous with “torture”. The case of Shahidul Alam again proves how the law-enforcement agencies and the judiciary are complicit in rights abuse. Shahidul Alam complained of being ‘hurt to bleed’ and his clothes were washed in custody before he was produced to the Court. The Magistrate ignored such a serious complaint of custodial abuse however, and instead sentenced him to seven days remand. At the time of submitting this written statement, Shahidul Alam is being detained in the Dhaka Central Jail and denied medical treatment, which he urgently needs for his physical wellbeing at the age of 63. The ALRC has consistently informed the United Nations Human Rights Council and the international community about the human rights realities of Bangladesh. The Council and the independent experts need to observe Bangladesh’s human rights situation with proactive efforts to protect its citizens. It is also important to acknowledge that Bangladesh, for last one year, consistently hides human rights violations behind the Rohingya refugee crisis. The current ground reality requires the Council to create a country mandate to urgently monitor the human rights situation of Bangladesh comprehensively.